I’d like to thank Scott in North Dakota for providing Son of Forgotten Hollywood Forgotten History its third 5-Star review on AMAZON. The stories, the pictures, the history… all put together in a very unique, interesting and informative collection. I started reading, and couldn’t put the book down, even though I needed to be sleeping due to working the next morning. One of the best books that I have bought in a long time, well, at least since I bought the first book, Forgotten Hollywood Forgotten History. I will definitely be waiting for a 3rd book in this series. This unsolicited review compliments a recent assessment by the Midwest Book Review that I received about my latest work. 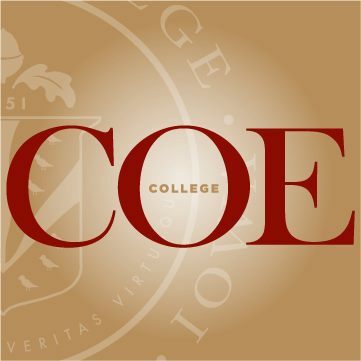 Coe College is a selective, private, nationally recognized four-year co-educational liberal arts institution providing superior educational experiences for students since 1851. Coe’s residential campus is located in Cedar Rapids. The subject of this forum is the cinematic output of four American movie directors whose 1930s films have come to exemplify in what is known as the classical Hollywood style. The four directors now regarded as giants of Hollywood’s so-called Golden Age are Frank Capra, George Cukor, John Ford and Howard Hawks. Sequences from films of these directors will be screened during in-class discussions in order to assess the extent of their contributions to the overall development of Hollywood cinema as an art form. Special full-length screenings – one film per director – will be scheduled outside the forum on Sunday afternoons throughout the month. Congratulations to Coe College for their effort. This entry was posted on Monday, February 18th, 2013 at 12:03 am	and is filed under Blog by Manny Pacheco. You can follow any comments to this post through the RSS 2.0 feed. Responses are currently closed, but you can trackback from your own site.